Enoy a day in one of the most beautiful bays of Pakleni Islands. 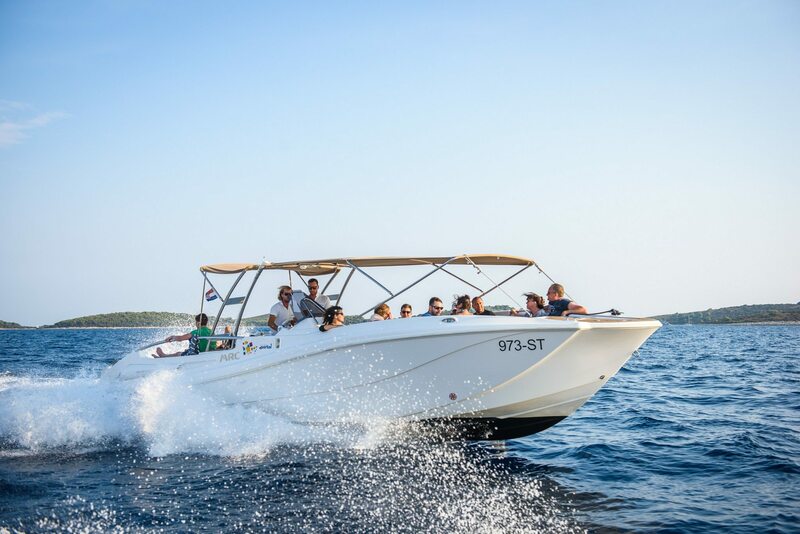 Your private tour to Hvar and Pakleni Islands is a great way to explore at your own pace the neighboring islands of Split in one day with your family or friends. Start the tour at arranged meeting point and at desired time with a private boat and skipper who will take care of everything you need on the tour. 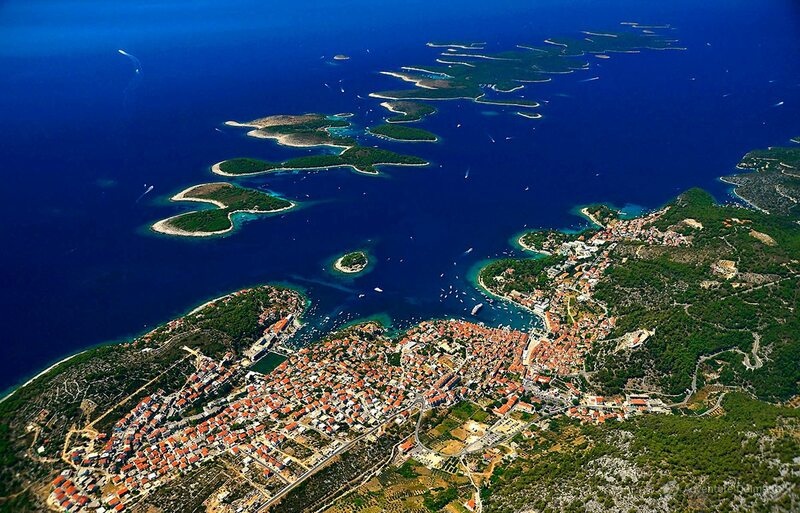 Your tour starts with a panoramic boat ride and beautiful views of Split, Trogir, Šolta, Brač. 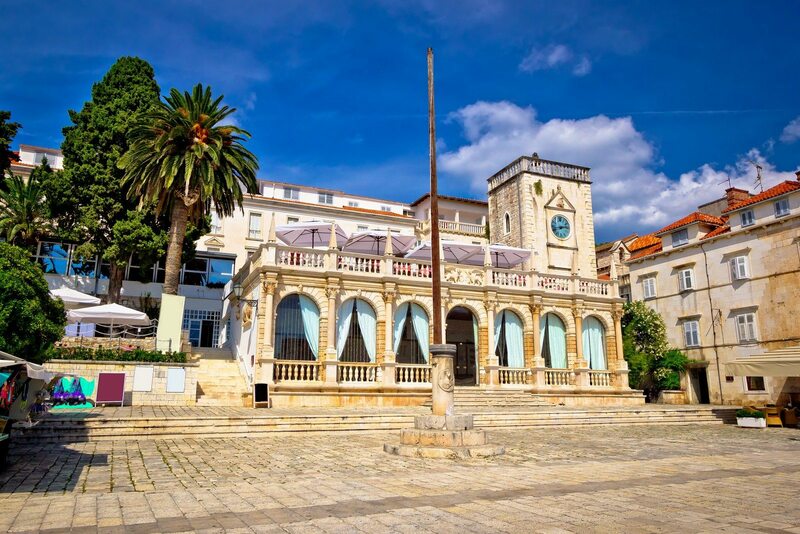 Enjoy a coffe stop on Brač Island and explore a small fisherman`s village of Milna where you have gorgeous photo opportunities. 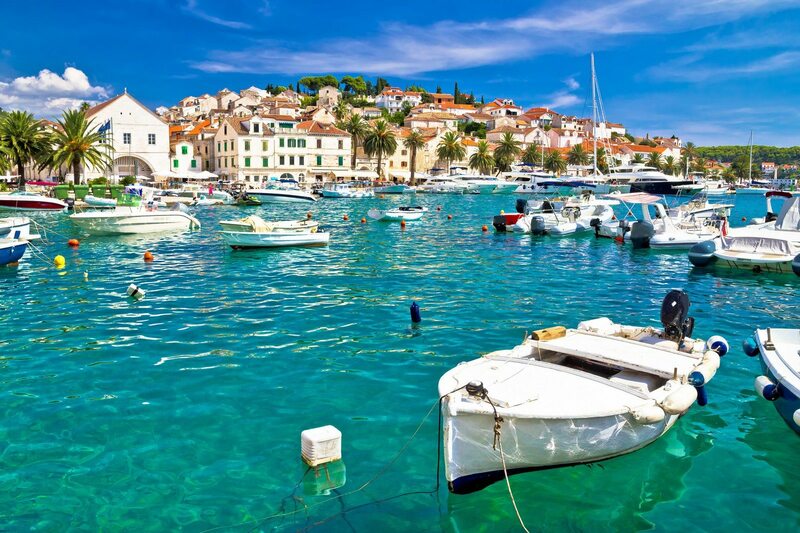 After a coffee break we proceed to the magnificent port of town Hvar. 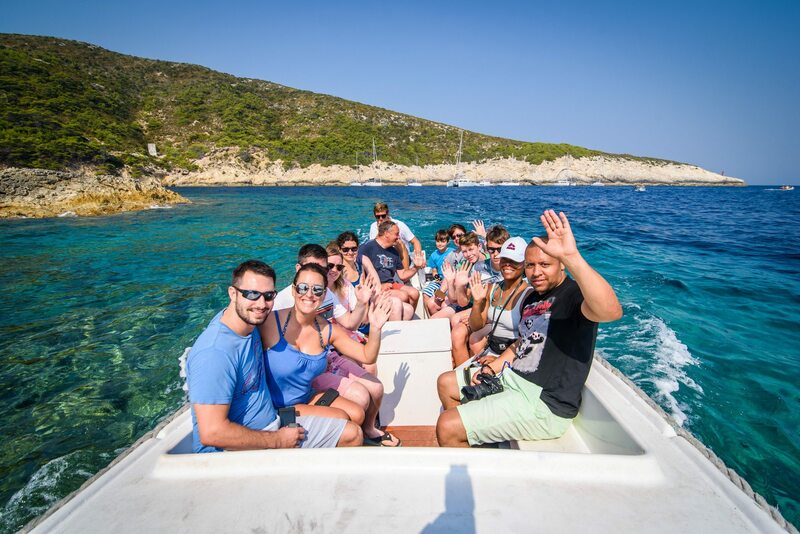 On a private sightseeing tour (optional) learn about the great heritage and history of the island and discover why it is proclaimed to be one of the ten most beautiful islands in the world. Your guide will be more than happy to answer any questions you may have and will suite the tour itinerary to your wishes and needs if you have them. Afterwards we let you get acquainted with the town by yourselves. 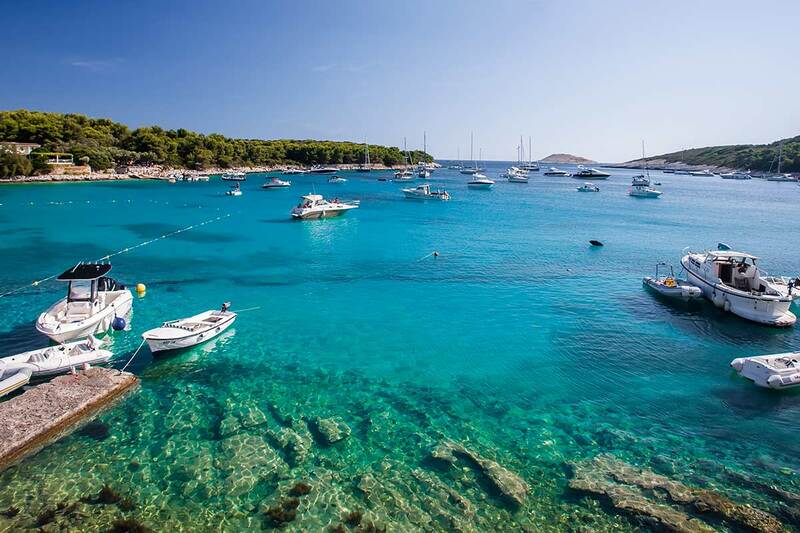 We will leave the town of Hvar and enjoy the boat trip to one of most beautiful bays of the Pakleni islands where you will enjoy the rest of the day. You will have free time for lunch, swimming in the crystal blue sea, to enjoy the scent of lavender and agave and watch the sunset on the sunniest island in Croatia. 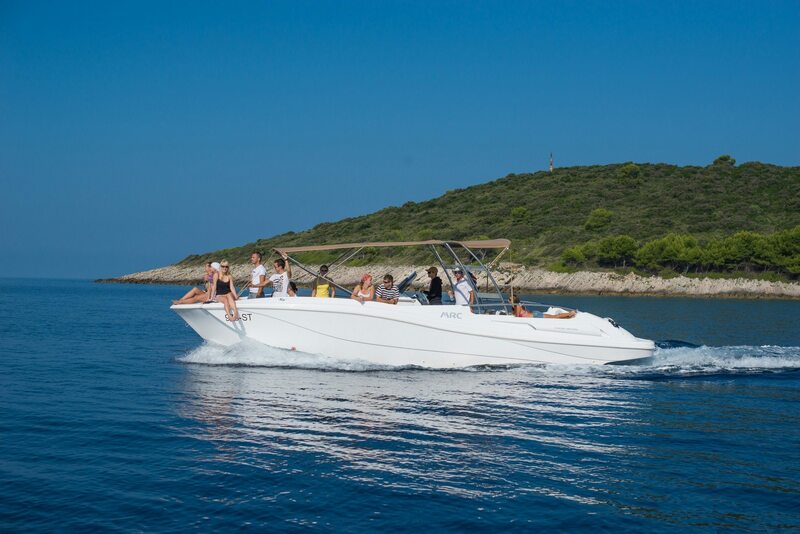 PRICE INCLUDES: boat from 8am till 7pm, skipper, fuel, safety gear, insurance, all taxes and VAT. Tour is a subject to favorable weather conditions. In case of unsuitable weather conditions, we deserve the right to cancel the tour as the safety of our guests is our primary concern. Our guests will be given the option of an alternative date (depending on availability) or a full refund. The Hvar and Pakleni Islands tour was great. Skipper was informative, professional, friendly and was really helpful with recommendations and tips throughout the day. Travelling by speedboat was brilliant – modern and comfortable. 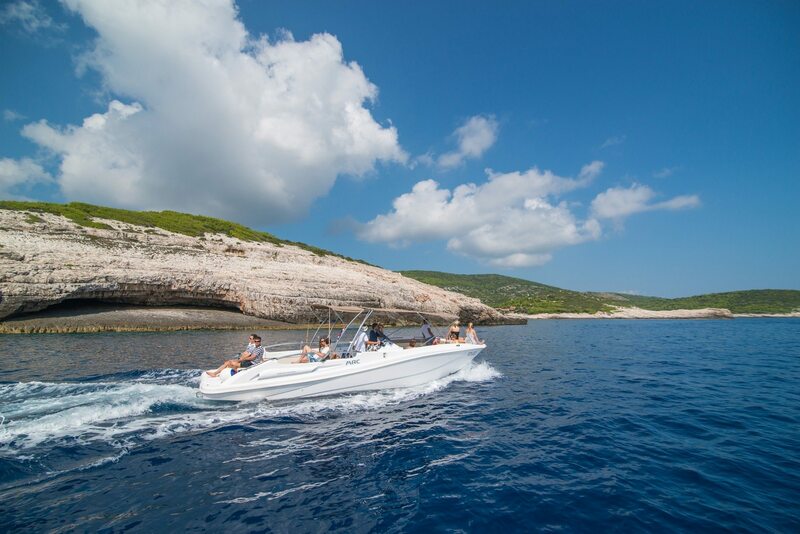 This is the perfect way to explore a few of Croatia’s beautiful islands in a day without feeling rushed! 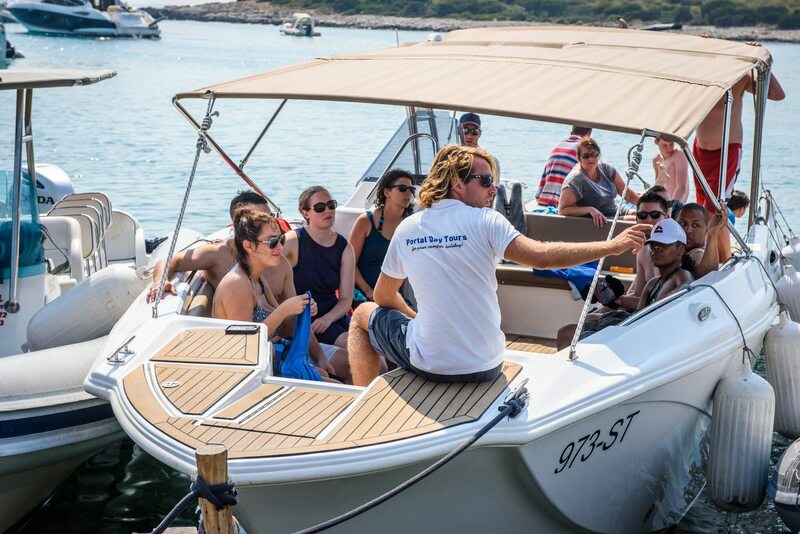 Take a private boat trip to the Blue cave, enchanting natural wonder, fisherman`s village Komiza, stylish and trendy Hvar town. 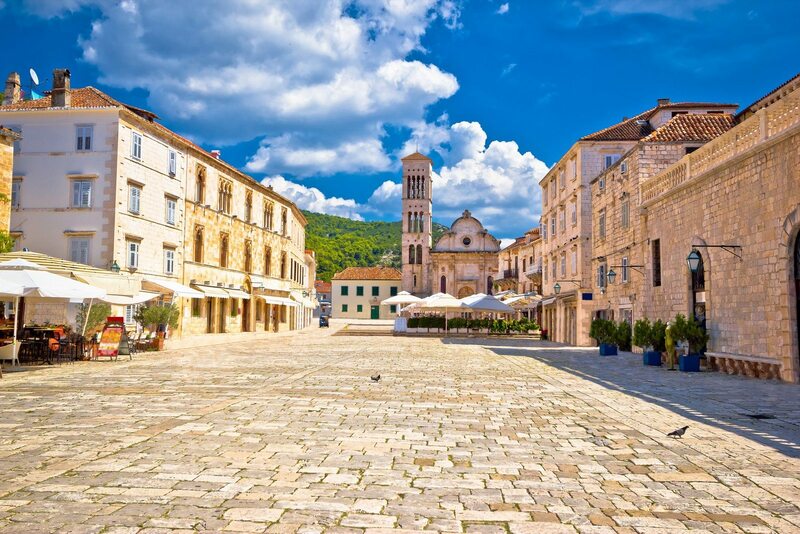 Visit the beautiful town of Trogir, stunning Blue lagoon and Solta Island on a private boat tour! 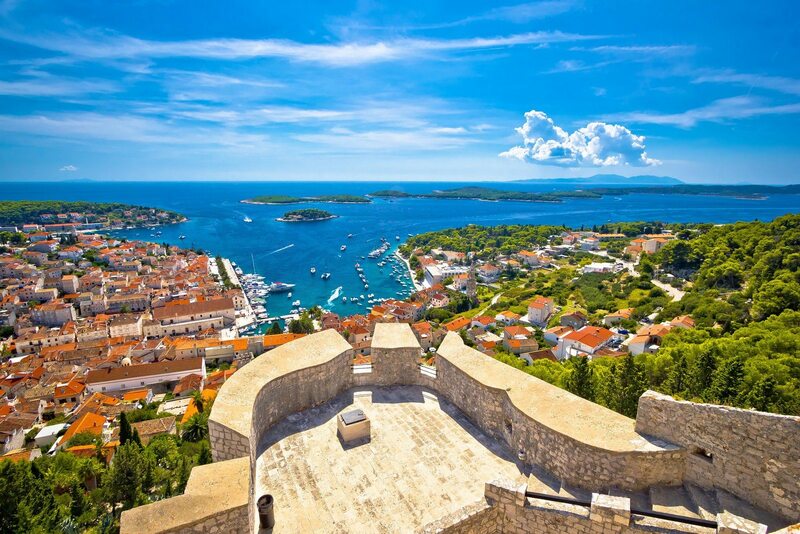 Visit natural phenomenon Blue Cave, authentic fisherman village of Komiza and the magnificent Hvar town.